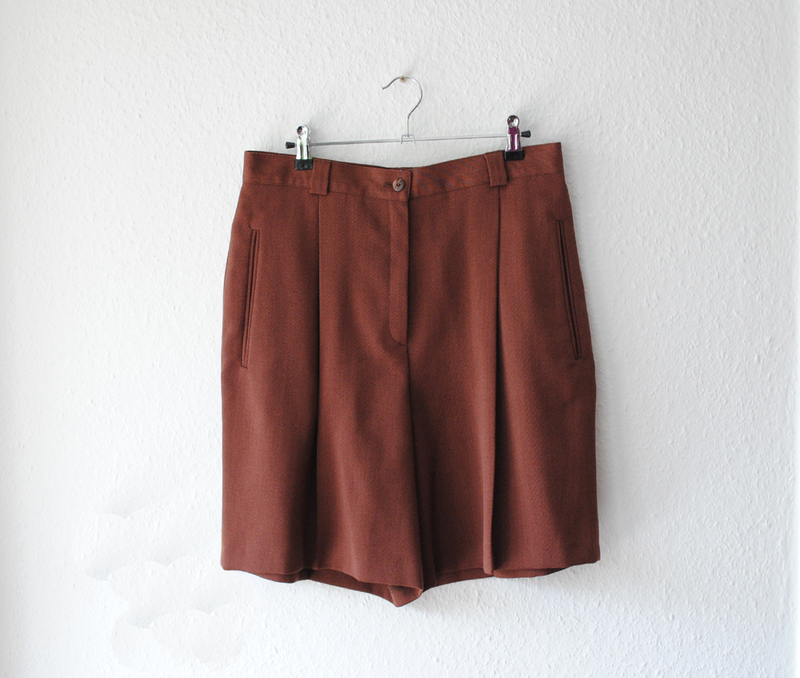 High waist tailored shorts in a pretty pastel greeny-blue and a chocolate brown. Circa 80s -90s. 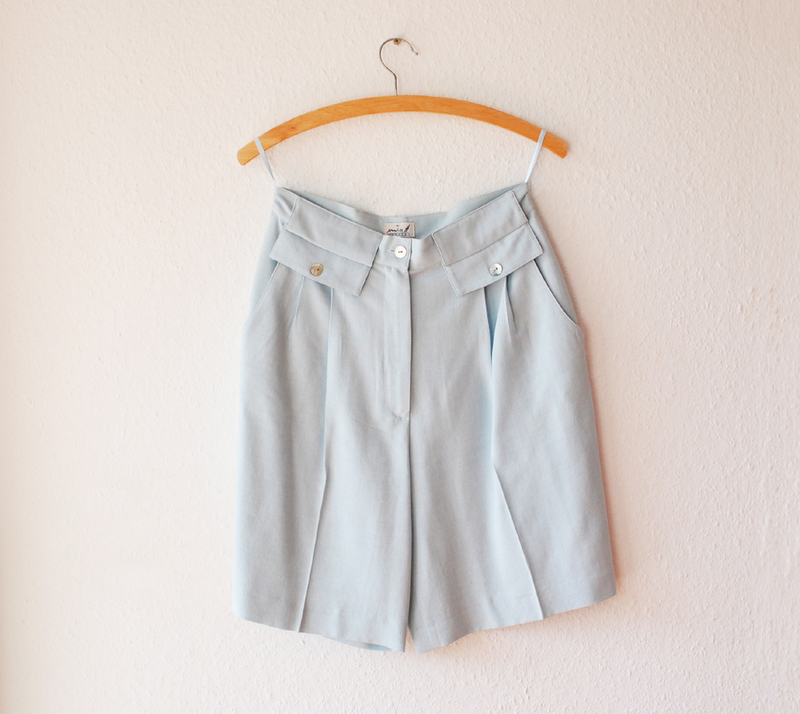 The pastel one has sweet mother of pearl shell buttons and both the shorts are a light wool blend.